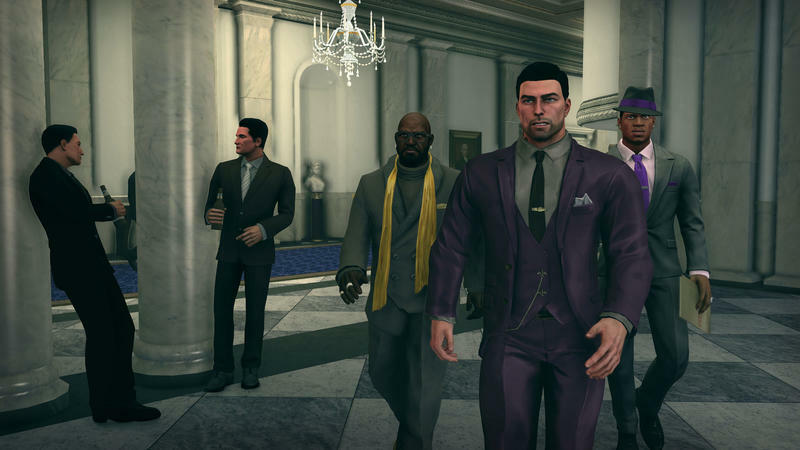 With Saints Row, the progression from quasi-realistic to over-the-top insane has been natural. That comes from one of the developers from Volition who spoke with us today. 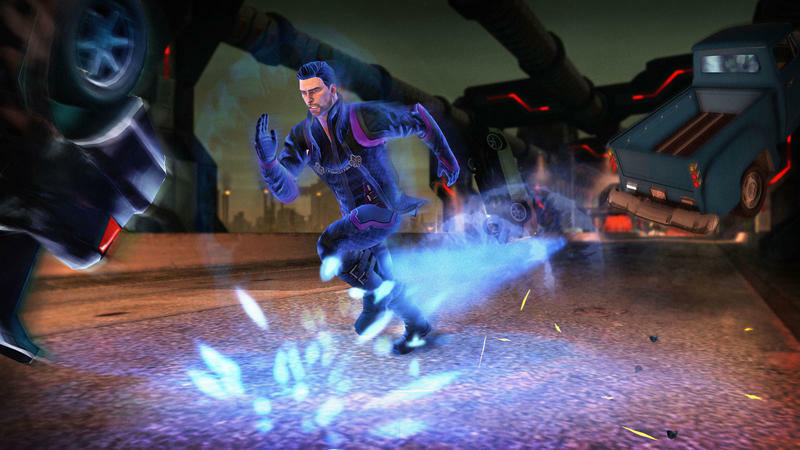 In Saints Row: The Third, the Volition team released a DLC pack that gave players super powers. 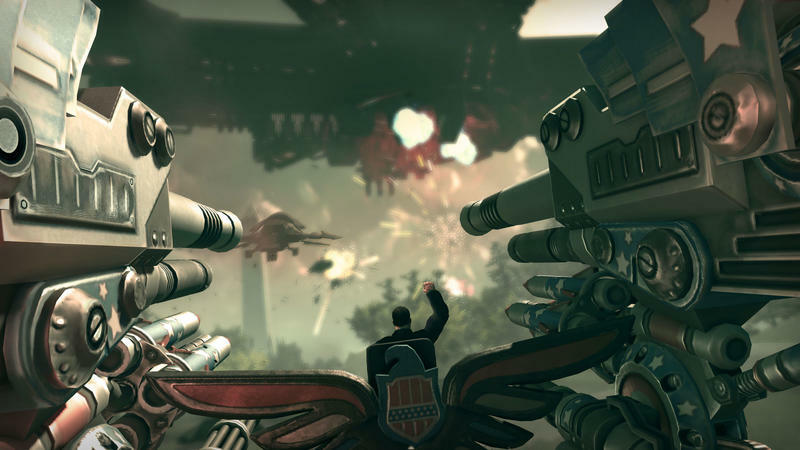 The fanbase loved it, and Volition wanted to use Saints Row IV as an excuse to go even further over-the-top. 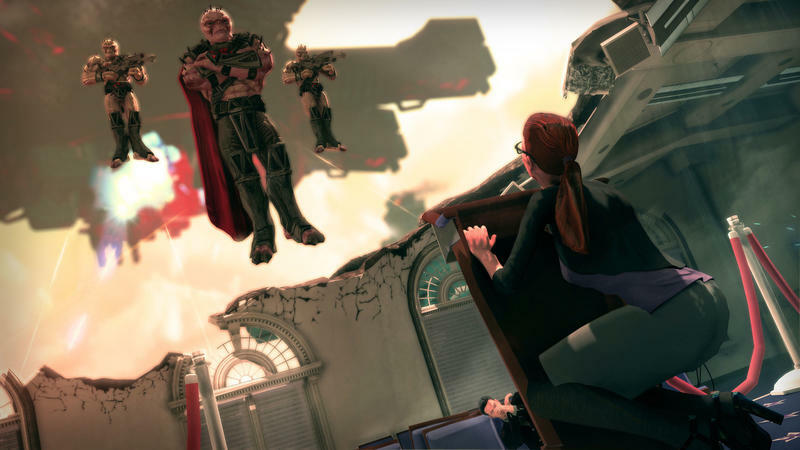 So, the two odds met head on, and Saints Row IV stars a President of the United States of America complete with the ability to sprint up buildings, fly across a city and grab pedestrians and fling them into a wall. There are players out there who think the switch from “realistic” to absurd hurt the Saints series. To those people I proudly say, “too bad.” I love the direction Volition has taken Saints Row. It’s complete mayhem in the face of a gaming industry that, far too often, takes itself incredibly seriously. I want a game where I can cure cancer within the opening five minutes and then fire a dubstep gun into a group of civilians incapable of resisting the shear force of dance. 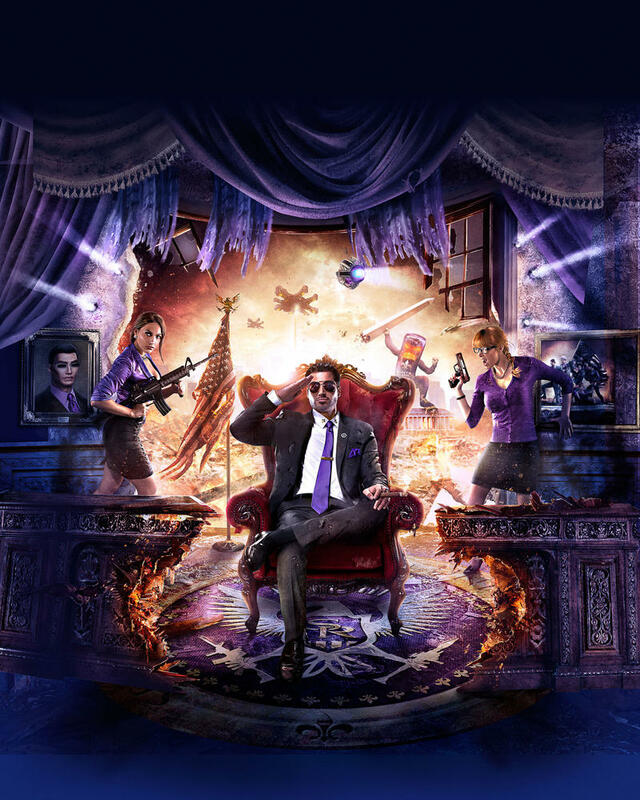 We were invited to go hands-on with Saints Row IV today during E3. After an introduction that lasted, maybe, 10 minutes, we were let loose in the city of Steelport and set upon roaming freely and destroying the world. Over the course of 30 minutes, a few things stood out as particularly awesome to me. First and foremost, the weaponry in this Saints is easily among the best. My two favorite guns from the demo? The aforementioned Dubstep Gun and a gun that fired black holes. Both are absurd, and both are just as deadly as they are hilarious. I also spent a lot of time listening to music. See, in Saints Row IV, you’ll get super powers similar to, say, Crackdown, Hulk: Ultimate Destruction or Venom’s abilities in Ultimate Spider-Man. The resulting play style is one that keeps you out of cars and in the environment. Most fans will agree that Saints Row has always packed a really great licensed soundtrack. 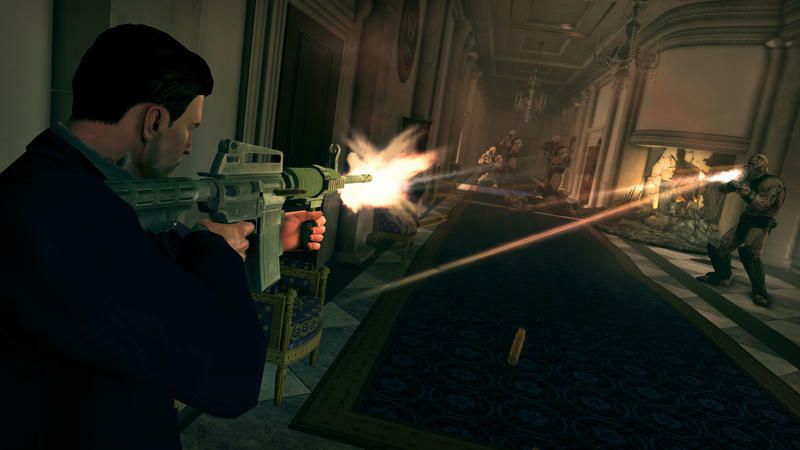 In Saints Row IV, the radio moves with the player and can be turned on and changed on the weapon wheel screen. All of that time spent outside of cars can stay aurally fantastic with reggae or old hip hop, which is perfect news. I will say that I felt a little too powerful in this demo. The developers on hand insured me that the full game will feature scaling enemies. When you get beefed up and fast, the enemies will adapt and come at you even harder. The ease I felt today will likely not remain in the full version. Saints Row IV is purely about fun. Fun in shooting a music gun, sprinting through a truck and dive bombing into a group of enemies before sucking them into a black hole. It’s stupid, over-the-top, insane fun, and I’m pumped for it. 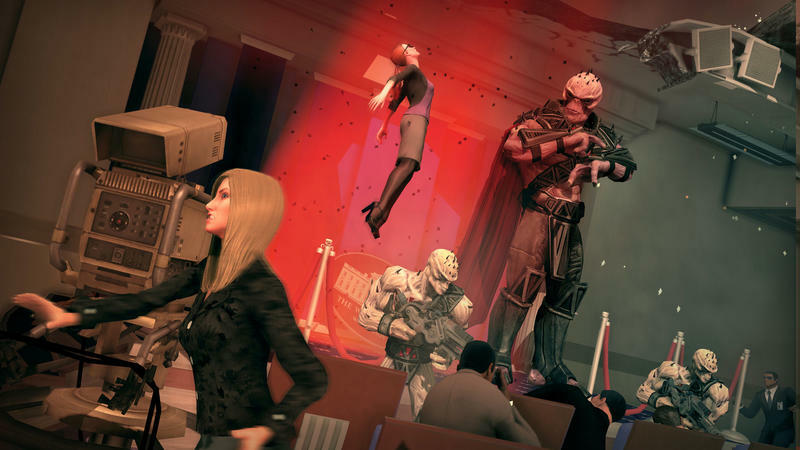 Saints Row IV will hit the Xbox 360, PlayStation 3 and PC platforms on August 20th, 2013. We’ll have more as it comes.